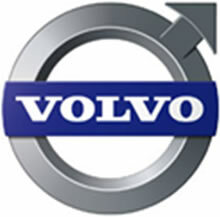 Hercules is the Swedish car manufacturer Volvo's system for planning of car production. Its main output is the monthly Master Production Schedule (MPS) – a detailed plan on how many cars are to be produced per market, factory and week during the following 13-15 months. Migrating such a comprehensive and vital system from an APL2 Mainframe to a Dyalog APL Microsoft Windows platform is no small task. Working with experienced and expert APL programmers from Aplensia in Gothenburg together with Mahindra Satyam, the project was completed in record time, with no disruption to the users or the operations, saving a substantial amount in the process. We interviewed Peter Simonsson from Aplensia, and this gave us a full case study that takes us through the process of the successful Hercules migration project which was completed in the autumn of 2012. Read the full case study online or download it as a pdf.